California recently became the first American state to adopt a drinking water standard for hexavalent chromium, proposing a limit of 10 parts per billion. Brisbane has not set any standards for hexavalent chromium. Residents who are concerned about drinking water safety may find that bottled water Brisbane suppliers are their best option. Does the Hollywood film Erin Brockovich ring a bell? If you’ve seen the movie, you’ll remember that it was hexavalent chromium which contaminated the drinking water in Hinkley, California, and caused residents to get sick. This eventually led to a multimillion-dollar class-action suit. 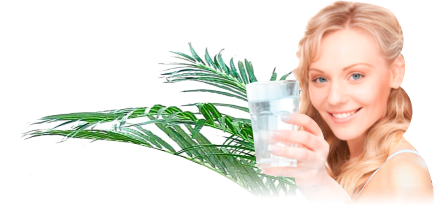 If you have been living under a rock, we can give you a rundown as to why drinking purified water and tap water that has been through water filters is so good for you. By consuming this kind of drinking water, you avoid ingesting certain contaminants that can be present in ordinary old tap water and as a result it is cleaner and healthier for your body. Of course there is a lot more to be gained if you avoid drinking tap water. However, if you keep abreast of information about healthy dietary habits, there’s a good chance you already know this. Households these days are spoiled for choice when it comes to selecting drinks from the refrigerator. For parents or carers educating children and young people about the benefits of good nutrition, the frustration is that often the drink of choice is one full of sugar, flavouring and preservatives. Keeping bottled water in the fridge, directing the household to drink water, and limiting the number of juices or soft drinks can start a conflagration on the same scale as the Gulf War. This pits siblings against each other as they hope to gain favours by dobbing on each other and counting drinks. Meanwhile, bottled water languishes at the back of the fridge. Most of us have experienced occasions where we have filled a glass with treated tap water and noticed that it appeared cloudy. We are assured by the health authorities that this is a perfectly normal part of the water treatment process, and occurs when air gets trapped in the water. This can happen during the pumping process or when cold water meets warmer water in the system. Because the water pipes are pressurised, the air is trapped and not released until the tap is turned on. A quick way to check is to wait for a few seconds and if the glass clears from the bottom up, this is the cause and is perfectly harmless. 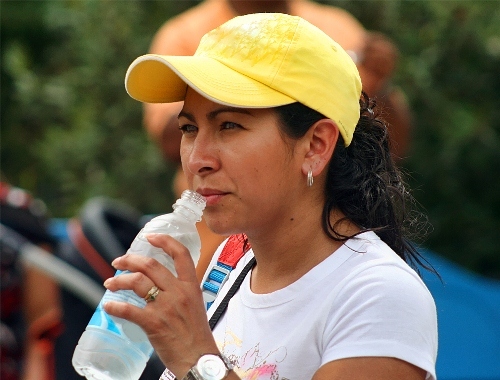 It’s no big secret that drinking water is wonderful for our bodies. With a long list of benefits and a long history of this knowledge, it’s easy to see why so many people strive to drink the required 8 glasses a day or more. There is, however, some startling information about the detriment to our health that drinking common old tap water can bring. Thankfully water filters are very commonly used these days both in businesses and in households. If you haven’t discovered yet the wonderful benefits of using water filters then you should read on to find out what you’re missing.